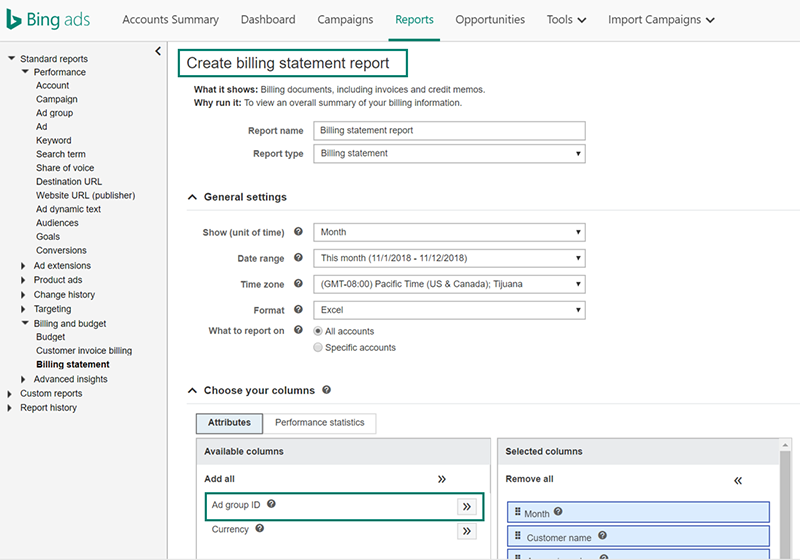 As part of our ongoing effort to optimise the accounts and billing experience for our advertisers, Bing Ads will remove the Ad group ID from the available columns of billing statement reports. We're making this change due to low usage of the column and to better align the reports with your billing statements and invoices. The change will take effect on 3 December 2018.